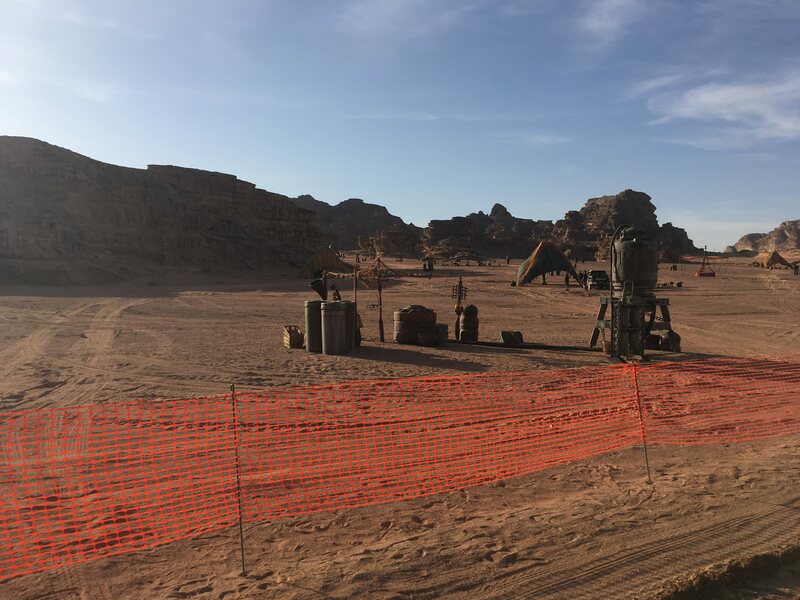 Earlier this week, some new set photos made their way online from the region of Wadi Rum, Jordan, suggesting that a trip to a desert planet will be on the card’s for next year’s Star Wars: Episode IX. 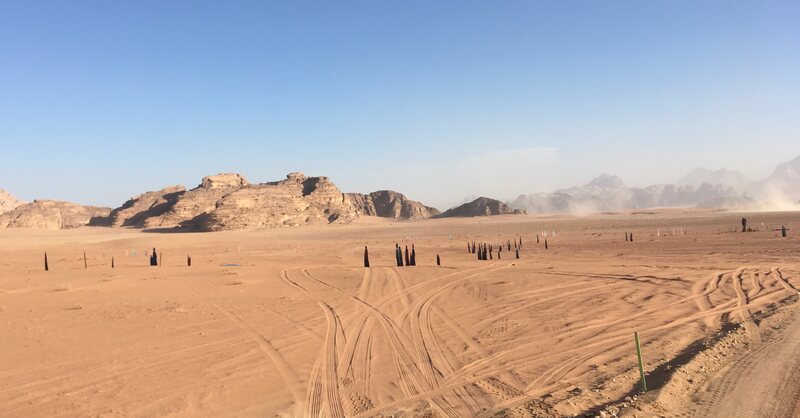 And while this barren landscape certainly seems reminiscent of Rey’s home planet of Jakku, there’s also a case to be made that these pics signal a return to a site of destruction and chaos in Rogue One: A Star Wars Story. We’re specifically referring to the desert moon Jedha, where Jyn and her peers narrowly avoided falling victim to the Death Star’s early test run. Since the space station wasn’t running at full capacity by this point, the moon itself is still physically in one piece, but it probably isn’t in the most attractive of states. 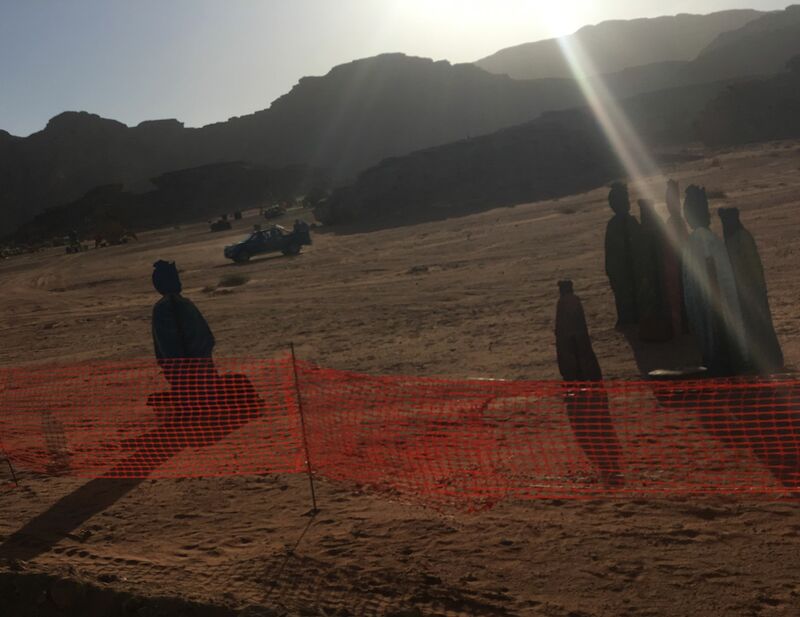 Nonetheless, as the source of the kyber crystals used to power lightsabers, it seems pretty plausible that Rey would have some reason to visit this ravaged land, and it just so happens that the region’s Rogue One scenes were shot in the territory of Wadi Rum. Granted, this is hardly smoking gun evidence, and it’s quite possible that this set is intended for a new region entirely. After all Jedha, Jakku, and even Tatooine can hardly be the only parts of this ever-expanding galaxy with climates that are a little on the dry side. Incidentally, previous pics have already given us reason to believe that Star Wars: Episode IX will see the Millennium Falcon traveling to an unfamiliar jungle planet. It sounds like our heroes could have a lot of planet-hopping on their plate then, and we’ll find out why when the film hits theaters on December 20th, 2019.